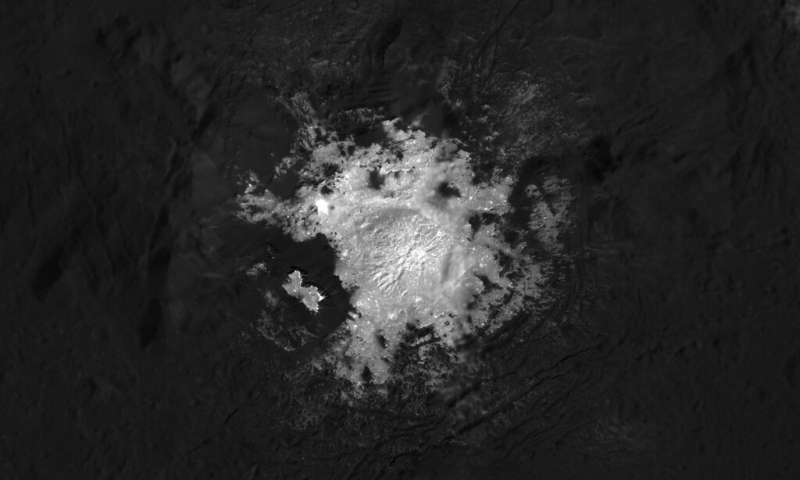 All that stuff on Ceres was hinted at before Dawn was even concieved of. The sole reason for Dawn was to see just who was there. Only way to do that was to sneak up on it out of the dark of space by using electric propulsion which gave us the ability to 'sneak up'. The propulsion jet cannot beeven seen over a hslf mile away, it is THAT dim. Early fotos showed thin streaks that looked like streets with lights. All 'airbrushed now. Early fotos showed the 'spots' glowing in the dark on the night side of that planet. 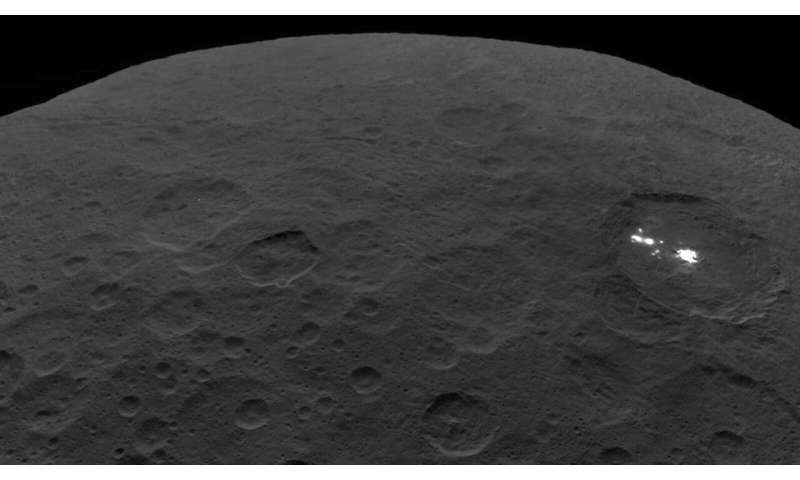 Ceres was considered a planet in the 1800's. NO "SALT" glows in the dark. The rules of chemistry demand energy for everything, and light has a cost in energy that it radiates away. No salt would be so constructed as it is of equal and opposite energy potentials. It takes a LOT of energy ot split it, which is why aluminum is not free metal in nature, for instanct. That is a MINING station, pure and simple. Miners probably told US to GIT and do not return! NO "SALT" glows in the dark. Cause a skulking figure hissed at me out of a dark alley as I passed in smoggy dusking. Whispering "Hey, buddy! I gotcha a good deal on some genuwhine crystals from Ceres. Right here in my pocket! For a low, low price. Garaunteed yessirree. to glow in the dark!" I just waived him/her/it off. I may have been born at night but it wasn't last night! Those last two times I was shanghaied taught me to sober up & flee from proximity to wooloons. I was puking my guts into!" But, those are stories for another day.